Since 2012, Travis Scott has experienced a somewhat meteoric rise in the music industry. From signing to T.I.’s Grand Hustle label and Kanye West’s G.O.O.D. imprint as a producer to becoming “close” friends with Rihanna, Scott has managed to prove the critics that said he couldn’t become mainstream unanimously wrong. Jacques Webster, also known by his stage name Travis Scott, has been working diligently on his second studio album Birds In The Trap Sing McKnight. Although his latest project didn’t arrive in the timeframe as expected, you can rest assure that it’s with good reasoning. Taking notes from his mentor Kanye West, the delay incites us to hear the album that much more. In alignment with almost all of his previous projects, we’re certain that the album won’t be the only major announcement that he will be making. To accompany Days Before Rodeo, he announced his first headlining tour with Young Thug and Metro Boomin; and with Rodeo, he announced that a replicated action figure will available for fans to purchase. Until he releases his current body of work, here are eight artists that we predict will be on his album. Being that Desiigner is GOOD Music’s most recent successful artist, it wouldn’t be a surprise to see if he appears on the label’s most prolific (aside of Kanye West and Big Sign) signee. The two have worked together in the past on Desiigner’s Mike Dean-produced “Timmy Turner,” so they’re already familiar with each other. After topping the Billboard charts with his national hit “Panda” and covering the 2016 XXL Freshman cover, it would be no surprise if he landed a spot on Scott’s second studio album. As many favors as ‘Ye has done for Scott in the past, it may be time to return the favor. Before Scott’s recent rise to stardom, Meek Mill was one of the few high stature artists supporting him outside of his label bosses Yeezy and T.I. 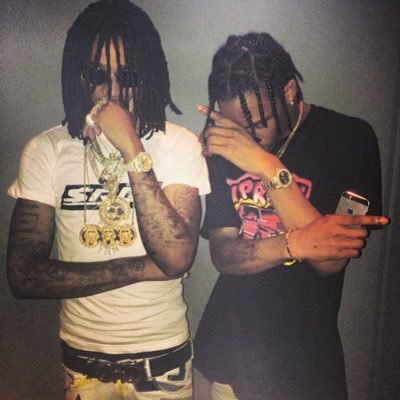 On La Flame’s first major “free album” release, Owl Pharaoh, Meek was featured on the song “Bandz.” The Philly rapper even came out to turn up with Scott at his first BET performance. About a month ago, the two artists were pictured enjoying lunch together. Keep in mind that Scott has a good working relationship with Drake as well, so it wouldn’t be a surprise if the “Antidote” rapper lent Meek a helping hand after enduring such a rough series of events. After being on the road for months together, these two have built an undeniable chemistry. Young Thug and Scott have already collaborated on an unreal amount of songs (“Mamacita,” “Skyfall,” “Maria I’m Drunk,” “Pick Up The Phone”). The real question is how many tracks will Thugger be featured on? Yes, Kamiayah has mentioned that she has been in the studio with Travis recently. Travis confirmed this in an interview, and went further, stating that she will be on his album. The Houston native may keep to his word, but it wouldn’t surprise us if he doesn’t either. This wouldn’t be the first time that he’s made statements, and hasn’t delivered. Bryson Tiller exploded onto the scene last year after his lead single “Don’t” went viral. Fans got their first glimpse of Tiller after the 6 God gave him a shout out on Instagram. Travis was one of the first successful hip-hop figure to actually bring him out on stage to perform in front of a large crowd. The R&B singer is known to only work with a select few people, and Travis happens to be one of them. Everybody’s been trying to get into the studio with the Trap God since his release from prison. Travis Scott recently made a stop at Gucci Mane‘s residence a few weeks ago, sporting his new clothing line Delantic in a pic they posted on social media. Many people may not know this, but Kid Cudi was actually suppose to be Scott’s debut album Rodeo. Unfortunately, it’s been reported that this collaboration didn’t go through due to clearance issues. However, Cudder has openly stated that La Flame was the only artist featured on his forthcoming project at the moment. This will be like a dream come true for Scott, since Cudi is like his favorite artist ever.